TEN has announced a return for The Wrong Girl as early as next week, in a surprising new timeslot. The drama returns 8:40pm Thursday August 24th -effectively moving from Wednesdays to Thursdays away from Doctor Doctor. But it will now take on ABC dramas, with Pulse currently in play on Thursdays, to be succeeded next month by Glitch. It is also unclear what happens to the season final of Common Sense next week, previously scheduled in the same slot (it still concludes on Foxtel next Wednesday). Presumably TEN will screen it at 9:40pm in its final outing (Update: confirmed). 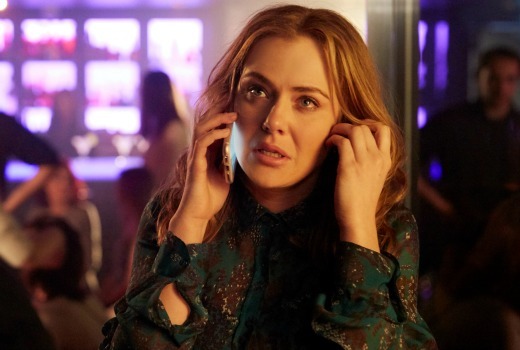 The Wrong Girl, which sees all cast returning with Jessica Marais, is also poised to announced a new key cast member. The Wrong Girl follows the chaotic and comical life of Lily Woodward and stars 2017 TV Week Logie Award winner Jessica Marais, supported by an outstanding ensemble cast including Rob Collins, Ian Meadows, Hayley Magnus, Craig McLachlan, Madeleine West, Steve Vizard, Kerry Armstrong and – a new addition this year – Natalie Bassingthwaighte. After running away from her problems (and to New Zealand) six months earlier, Lily returns to Melbourne, determined to get her life back on track. In addition to the massive task of saving her television show The Breakfast Bar from cancellation, Lily must face everything she left behind, including her best friend Pete’s declaration of his love for her. All the underlying questions of Lily’s commitment and need for authenticity in her career and love life can no longer be ignored. This time, can Lily make the right choice? Really like The Wrong Girl – glad to see it back again. The Thursday night time slot is fine – I’ll watch TWG in real time and record Glitch to view later. Hopefully it will rate better this time around, now it’s not up against the popular Doctor Doctor. Seems like an odd move… Gogglebox must not be coming back until later in the year. Maybe Sisters will take the Wednesday slot… Wake in Fright in the weeks before that? The are currently ‘casting’ for new families (Gogglebox) Oct-Nov timeslot. I would think that 10 and ABC are pitching to rather different audiences. Don’t forget both Glitch & Wrong Girl skew young.